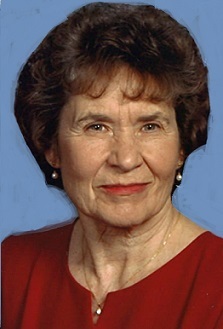 Donna Jean Parks, 86, of Mt. Pleasant passed away on Wednesday, March 20, 2019, at the Henry County Health Center in Mt. Pleasant. She was born on October 5, 1932, in Stockport, Iowa the daughter of Guy and Jeneva Lyon Hummell. On April 20, 1952, she was united in marriage to Burton Parks. She was a graduate of Mt. Pleasant High School and attended Iowa Wesleyan College in Mt. Pleasant. She retired from the Mt. Pleasant mental Health Institute as an occupational therapist after working there for many years. Throughout her life she was an avid artist, dabbling in many different mediums. Donna was a member of the St. Mark’s Lutheran Church in Cedar Rapids. Donna is survived by her children, Gary (Audrey) Parks of Springfield, Missouri, Steven (Laurie) Parks of Mt. Pleasant and Lorraine (Ray) Huff of Crawfordsville, five grandchildren and three great grandsons. She was preceded in death by her parents, her husband and brothers, Wilbur Hummell and Arlo Hummell. Memorial Services will be held on Saturday, March 23, 2019, at 4:00 p.m. at the Murphy Funeral Home in Mt. Pleasant. The family will receive friends from 2:00 p.m. until service time at the funeral home on Saturday. Inurnment will be in the Forest Home Cemetery in Mt. Pleasant. Cremation has been entrusted to the Murphy Funeral Home. A memorial has been established to the St. Jude’s Children’s Hospital in her memory.